Interested in volunteering? FIRST – Fill out our volunteer application HERE. 1 – Homecoming Day: This is what Focus On Home all about. You get to join us in creating homes for Oklahoma City families. See how a family’s life and house will be transformed before your eyes – it’s all possible with volunteers like you during our Placement Days. We meet at the Focus On Home warehouse (see directions below), select and load items for a family, caravan to the families house and then completely set up the family’s new home. Typically 3-4 hours. 2 – Warehouse Workday: Join us in organizing our warehouse: organize, unpack and sort donations that will be used to create homes for Oklahoma City families. Typically 2 – 3 hours. We love to have groups volunteer together. If you would like to schedule a volunteer day for your company, organization or group please contact Stacey Cole at volunteer@focusonhome.org. Warehouse directions: Our warehouse is located about a mile west of the fairgrounds on 10th St (10th and Tulsa). We are located directly behind 4024 NW 10th – look for the sign that look like a huge man. Our warehouse doesn’t have an address on it. Turn in on the west side of 4024 NW 10th, there is a double chain link gate to go through for our warehouse. 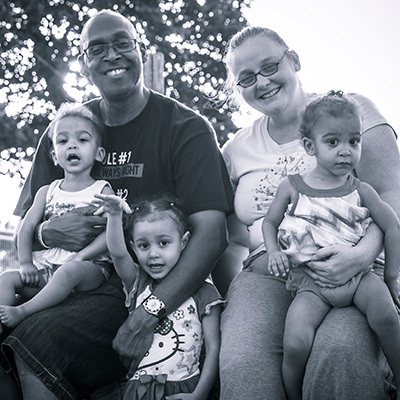 Your group will choose a day to volunteer with Focus On Home to create a home for your sponsored family. Group volunteers will receive a Focus On Home t-shirt, photos and a short video of their volunteer day – along with the satisfaction of making a true difference in the life of an Oklahoma City family. For more information contact Stacey Cole at volunteer@focusonhome.org. Fill out the Room in a Box Donation Form and submit to joli@focusonhome.org. For more information contact Joli Sanders at joli@focusonhome.org. Sponsor your own event that benefits Focus On Home. If you have an idea for an event we would love to hear your ideas and have your involvement. 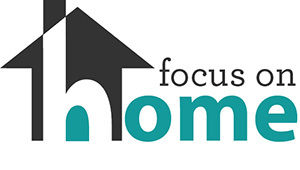 Contact Joli Sanders at joli@focusonhome.org.